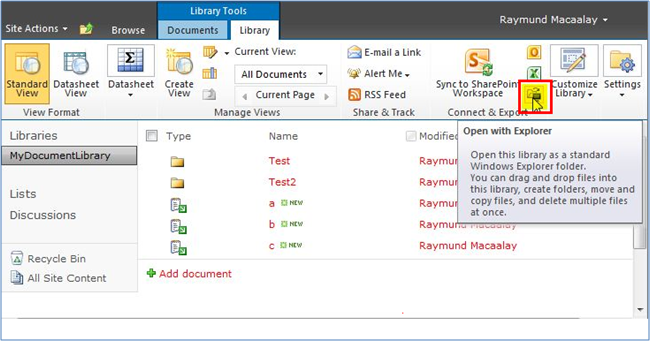 The Explorer View is an excellent feature that is integrated with SharePoint that allows a user to access a document library as if you were accessing a file system through a Windows Explorer window. Being end users, everyone might feel that this is very easy to use. 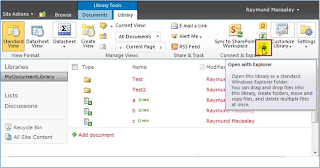 But there are multiple complex interactions happening with different technologies to make documents which are not present in file systems to viewable using explorer. 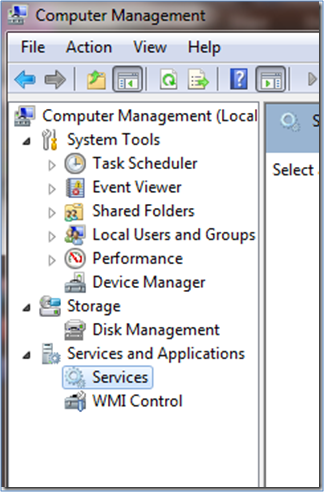 Note: In earlier version of windows webclient service could be installed by enabling WebDAV and FPRPC component in IIS. WebDAV is a simple extension to the HTTP protocol based on a public specification. It provides an extended vocabulary that defines how basic file functions, such as copy, move, delete, and create folder, are performed across HTTP. FPRPC provides WebDAV capabilities using extensions to the HTTP vocabulary, but it also has the ability to embed more complex Remote Procedure Call (RPC) communications in the data portion of the packet. 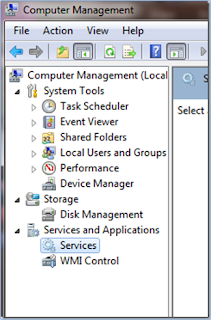 Make sure all computers accessing the Explorer View have the Web Client Service enabled and running. This is the default behavior for Windows XP, but not for Windows Server 2003. Only host content on the default Web port of 80. If you need to host multiple Web sites on a single server, use host headers or multiple IPs to make those Web sites unique. Do not encrypt Explorer View traffic using SSL. SSL uses port 443, and the Microsoft WebDAV implementation does not work on ports other than 80. 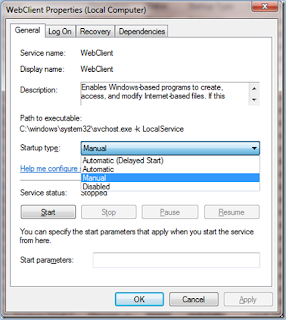 Check For If Web Client Service is enabled and running on the computer where you are trying to open Windows Explorer view. If No, Follow below given steps to make it available. 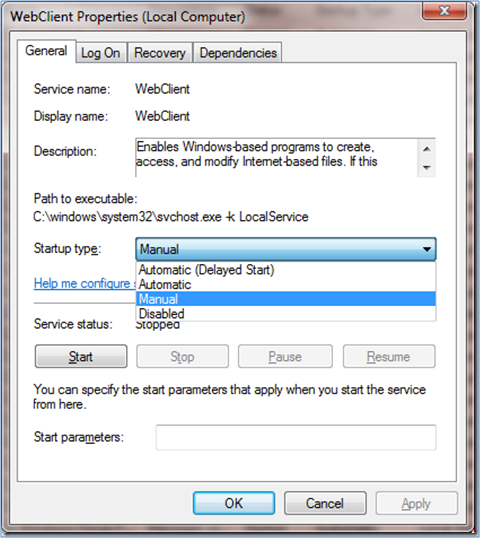 To enable webclient service, we need to install desktop experience feature. 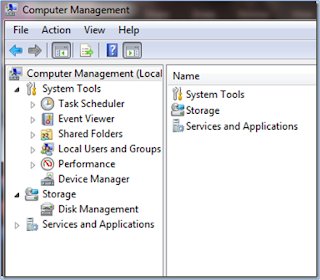 Start the Windows Server Manager. In the tree view, highlight the Features node. In the details pane, click Add Features. When the Add Features Wizard has finished, click Close. Click Yes when promoted to restart the computer. If Yes, Follow below given steps to make it Running. First, right click "My Computer" and select "Manage". You may get a pop up that asks you if you are sure you want to make changes here, so click yes. Change the Startup type here to Automatic. Go ahead and Start it too (click the Start button) if that does not automatically happen. Then save all your changes. Now when you start Windows this will start this process as well. If you're in SharePoint 2010 (either Server or Foundation) and found it difficult to get the "Explorer View"… that's because it doesn't exist any more. The product group took it out between 2007 and 2010. Right mouse click a file for "Properties"
Click "Open in Explorer" to the far right. If you have any questions you can reach out our SharePoint Consulting team here. Binary Republik is a SharePoint consulting company helping Clients Globally for their SharePoint and Office 365 requirements. Copyright © 2018. Binary Republik. All Rights Reserved.